Choosing usernames for Facebook pages is not always as easy as it seems. In a similar fashion to choosing the right domain name for a new Website, the process can sometimes appear to be a little confusing and even difficult in some cases. However, users can perhaps be comforted by the fact that Facebook works to create a trusted environment, especially around its Pages. The whole ideology stems from the goal to help define the identities of the people and brands with which users interact. You can only select a unique username for yourself, Website, business, church, organization, institution etc. when 25 or more people are connected to your page. Facebook usernames will be available in basic text forms, and you can only choose a single username for each of the Pages that you administer. The Page username must be at least five characters in length and only include alphanumeric characters (A-Z, 0-9), or a period or full stop (“.”). Keep it short: If your title is too long then people won’t take the time to read it. The general rule of thumb online is that shorter is better. Keep it ad-friendly: Make sure your Facebook page title will look good in an ad even if you never expect to advertise on Facebook. You may be surprised down the road and you don’t want to be bound by a bad page title. 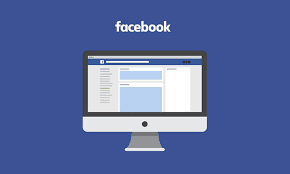 Remember your Facebook page is your shop window – keep it tidy and looking professional. You must create a post with a huge visual impact (as you only have a very limited time to grab people’s attention, before they have scrolled on without taking any notice of what they’ve seen!). Your post must be relevant to your brand – whilst you think a particular picture would create massive engagement – it can also easily damage your brand. Always take a personal view of a post – the Best way to to get the most engagement out of a post is to get your customer to share the post or picture. 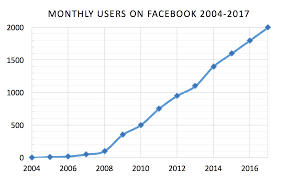 It is proven that people that use Facebook are far more likely to press the share button. Include as much info on your post as necessary. Don’t over complicate thing by adding too much info. If you wanted to change the name of your Facebook Page and you have more than 200 Likes it could be very difficult. In fact, Facebook Help states “You can’t currently change the name of a Page with 200 or more likes.” The good news for most people is that you can now put in a request to Facebook via the Admin Panel and if permission is granted, you can change the name of your Page no matter how many Likes you have. Facebook will then let you know if your request has been approved; hopefully within a few days. The process above will only work once. If you’ve changed your Page name once, you can’t change it again. ** For those in countries where the request change button is not available such as India and Pakistan, you could try and use a proxy server based in the US or UK by using Hola Better Internet extension for Chrome. However, due to the technical nature of this approach, I can only suggest it rather than recommend it. ** Note that if you don’t have a bill to upload, then a Word document explaining why you wish to change the name of your Facebook Page eg rebranding, new business direction, takeover, merger etc. should suffice. Having your business on Facebook through a fan page or a group is a great way to learn more about your customers. Through comments or posts, you get to have direct feedback and conversations with your target audience. The people who like your fan page or join your group are only there because they want to be. They are there to know what they can about you and you can do the same thing. Being well connected is important for any business, especially for a small one. You need to be able to communicate with people and grow your contacts. The best possible way to do that is through direct involvement. Facebook allows you to give your business an image and then you can actually have live conversations with people who matter, making it a more personal experience then what you get on a TV. Facebook allows you to develop your very own community. All you need to do is post links and content that is both relevant and useful. You can even have promotional campaigns and contests through your page and offer incentives as well. If done correctly, you will find that you can develop a loyal community for your business on Facebook. Search Engine Optimization is a key aspect for anyone who wants to build a significant presence on the web. 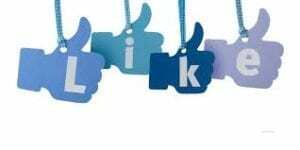 Having a Facebook page for your business can help you in your SEO efforts as well. All the links and posts on the page are indexed by search engines. So having a page flowing with continuous relevant content will definitely give you a jump in search engine rankings. One of the biggest reasons for you to make sure that you are on Facebook is that your competition might already be there. In this cut-throat environment, lagging behind will make it really hard for your business to succeed. If someone ends up liking your page then it appears in their news feed. This makes it possible for your business to be in their eyes on a regular basis through status updates or content posting. What’s more, if they comment on your post, their friends will also see your post and this will help in the viral promotion of your business. 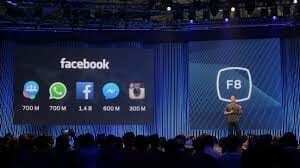 Your business at Facebook is not just limited to a fan page or a group. Facebook also offers you a chance to put up advertising campaigns. You can build your advertisements, and as per your budget requirements, go for a campaign suitable for your business. Also, you can choose the set of people to whom these ads will be visible. You can target your ads on the basis of demographics, educational level, interests etc. It is also up to you to decide how often these ads will appear. Apart from these facts, Facebook is free. You do not need to spend anything for promoting your company through a Facebook page. Facebook already has people addicted to it. This means you do not have to look for customers – they are already there. Facebook has really changed the way people go about promoting their business. With so many people with varied interests available on a single platform, there is something for everyone. All you need to do is find the right target audience and then market your business to them. Facebook provides you all the tools required to reach these people. If you set up your Facebook page as a local business, you can easily collect testimonials and reviews from your customers. The most important way to use your Facebook page for business is to engage with your audience. Your audience is composed of a variety of people–fans of your content, fans of your business, potential customers, current customers and former customers. With this in mind, create posts and content that engage these groups of people. Facebook allows you to place ads in the right column and within the news feed. The catch is that you must link your ad to a Facebook page to display it in the news feed. Without a Facebook page, you’re limited to ad placement in the right column only. Want some insight into what your potential or current customers want? Survey them on Facebook. A survey not only encourages them to engage with your page but can also help you discover what products or services they need. If you’re tired of dealing with spam on your business blog, your Facebook page can be a great alternative to blog comments. Add a link to discuss the post on Facebook at the end of each blog post. Speaking of blog comments, there are over 128,000 websites using Facebook comments as an alternative to standard comment platforms built into content management systems like WordPress. As you can see, there are a lot of great ways to use your Facebook page. If you haven’t already, be sure to create your page today and give the perfect name that matches all the recommended criteria. 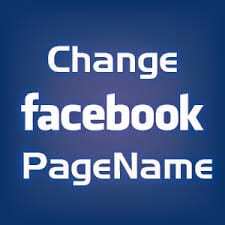 If you face any difficulties in changing your facebook page name after getting 200+ likes, contact us today! We will guide you! Also, stay tuned with BulkQ for more tips!